3 How many days in Siem Reap? >I have only got it through the Embassy, if you need a more detailed guide including land entry, my friend Mary has a complete Cambodia Visa guide for you. After searching through the internet, I decided to go to the embassy personally to get a visa for my sister and me. It cost 320 HKD (around 41 USD). It only took about 15 minutes for the lady to process the two visas, and they don’t require anything other than your passport. The only down side was the opening hours of the embassy, which was Monday to Friday 9-12 and 2-5. But that’s in Hong Kong and might be different wherever you are from. Some of the other girls got their visa online. You are required to send in more information, such as your photo, and it takes a few days to process. You would also have to print it out, but the process is easy to do and can be done anywhere. 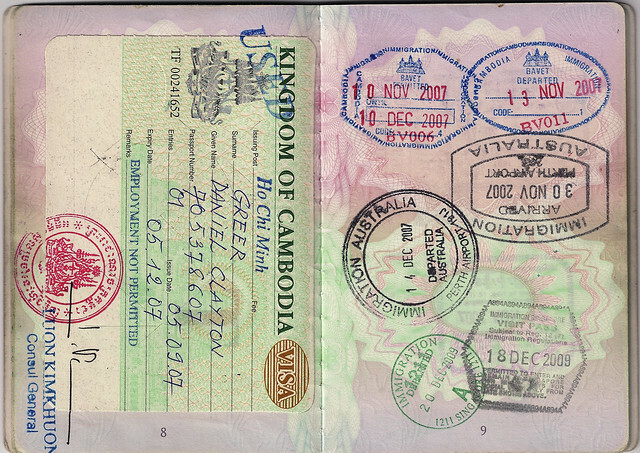 The Siem Reap airport supports visa on arrival. While none of us did it, judging by the speed of the queue, the whole process was pretty quick. I can’t speak for the other cities in Cambodia, but you can only use USD in Siem Reap without trouble. 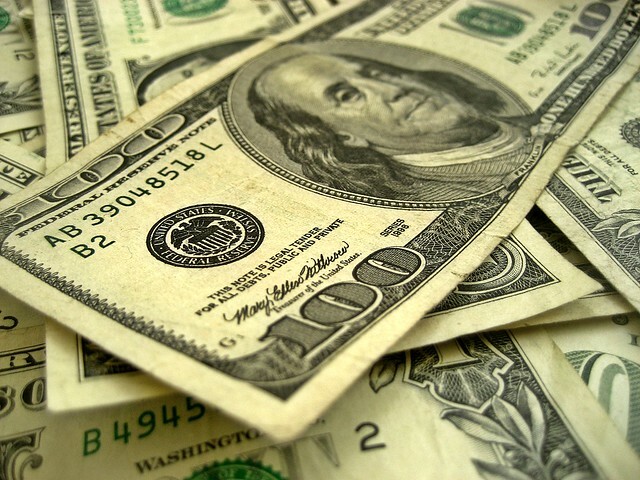 You should try to have as many small notes as you can, as most vendors won’t have enough change and will give you back Cambodian Money in a bad exchange rate. How many days in Siem Reap? While there are many factors that can affect this decision, most people would be here to visit Angkor Wat, and I covered the number of days best suited for that in this Angkor post. For Siem Reap overall, I would say no more than five days if you are here just for sight-seeing. 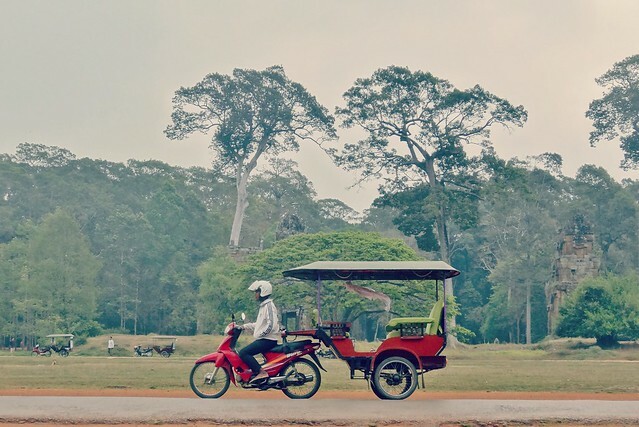 Most tourists would get around Siem Reap in a tuk tuk. There is no shortage of them unless you live in some remote part of town. Since our hotel was between the airport and the town center, our tuk tuk fare in and out of Siem Rap is slightly more expensive. Generally, our trip in costs 4 USD and 5 USD out. If you stay too late, it’ll inflate to 6 USD. Getting around the town itself shouldn’t be more than 3 USD. Girls gotta buy stuff, right? Siem Reap has a lot of markets, more than I had originally thought. If you are short on time, then the two to visit is the Night Market and the Old Market. The latter opens from the morning so it’s a safe choice if you are short on time and have to visit during the day. A good rule of thumb for when haggling (which is a must do) is to lower the price to 30% and you should usually get it around 50%. But this doesn’t apply to things that are already cheap such as spices and elephant pants. The original Siem Reap Night Market reminds me of Camden town for some reason with its twinkling light and mix of street food and stores. There are more variety of merchandise here, and I successfully purchased a cute drawstring bag for 6 USD. It is smaller than expected, so we only spent less than an hour there. There are more variety of merchandise here, and I successfully purchased a cute drawstring bag for 6 USD. It is smaller than expected, so we only spent less than an hour there. Siem Reap Old Market is situated smack in the town center. 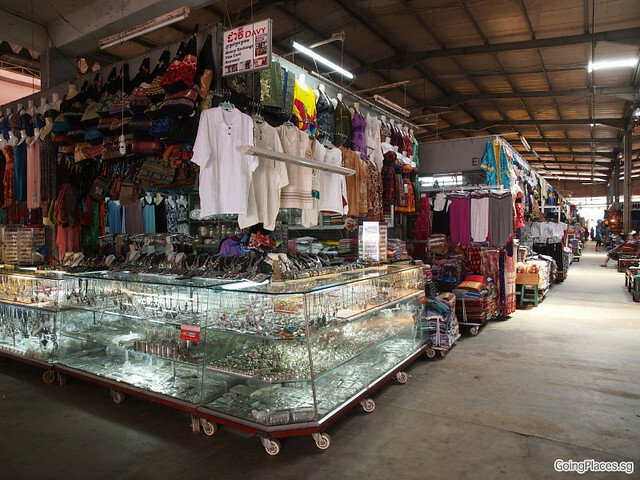 Although it sells everything, which includes tourist catered items, it is also a market for the local. You can see meats, fresh produce, and other knick-knacks being sold here, and it’s well worth a stroll if you have the time. You get what I mean by the lamp post, right? Across the river from the other two, the Siem Reap Art Center Market doesn’t sell anything that the other two don’t already. The thing that stood out is their beautiful lamppost. Weird thing to notice, I know. But it’s nice. It’s also close to the next on the list: the King Village. Also known as King Village, it is a small cluster of restaurants and handcraft stores and boutiques. It is decorated beautifully with wooden and bamboo, selling some more unique items than the generic Southeast Asia fare. Of course, the price is also reflected. We had dinner here on our first night and really enjoyed the ambiance. Anything from soaps to spices to ceramics can be found. While the prices are the highest on the list, it’s definitely fair trade and sustainably made. You can also tour the workshops! THE EPICENTER OF ALL OF Siem Reap’s tourist nightlife is on Pub Street. As you can guess from its name, it’s a street of pubs and bars. There are a lot of hidden ones in the side streets, too. If you have been to Thailand, the chances are that you won’t be impressed by the massages in Siem Reap. We got a full body massage and two foot massage done in total, and none of them were particularly good. However, there is no denying that a foot rub at the end of a long day is good no matter what, and at less than 3 USD per hour you really can’t go wrong. But generally, I wouldn’t recommend the massages. I had come to the conclusion that I’m not a fan of Cambodian cuisine on day 2, but that doesn’t deter us from enjoying our food. Cambodian Cuisine reminds me of Chinese and Vietnames’s, but not as good as either. Of course, it’s always a matter of opinions. One of the restaurants inside King Village, it is a Cambodia focused one with beautiful wood and bamboo décor and happy hours. We ordered some starters to share, and the fried spring rolls and fish cakes were good. The fish amok and pig knuckles I shared with my sister are equally satisfying and flavorsome. We ended up spending around 13 USD per person including drinks, so pretty decent. At the recommendation of a fellow blogger Tanya from Can Travel Will Travel, we headed to Ivy’s Guesthouse & Bar for their weekly Tapas night on Saturday. At only 1.25 USD per dish, their tapas menu includes some desserts and did I mention that their drinks were the same price as well? We might had gone a bit crazy and ordered too much – it turned out that these tapas aren’t small in size either. I’d say 4-5 dishes would be enough. I walked away with a full stomach and spent less than 7 USD! Scored! A western style restaurant with beautiful decoration and hanging lights, Grill Wine Café is the fanciest one we visited this trip. Their service was excellent, and though the prices were higher and the portions smaller, the quality was excellent. While some of us had the Australia Wangu Beef (cough Kelly cough), their Cambodian dish wasn’t bad either. The kindest thing was that when their manager saw us struggling to get tuk tuks and wanting to stay dry, he drove us back to our hotel personally in his car! A fast-food style dessert and restaurant place near Pub Street, the Blue Pumpkin had exceeded my expectation with its cute, modern interior and quality for the price. I mean, I got a mango and beef rice for less than 5 USD and the portion was huge and food delicious. They also have a range of ice cream flavours which are pretty good, so it’s a good refuge from the heat. Another restaurant near Pub Street, it’s hidden in between the many alleyways instead. Although it’s not as good as Rohatte, it’s not bad considering the prices. But bear in mind that the service is slow. Budget: Uncle Sam Villa has its own private garden in the heart of downtown and is highly rated by travelers – they even offer free airport pick up. The eOcambo Villa is equally central with modern and clean rooms. Want a swimming pool? Then the Orientation Lodge would be a good choice with free bikes too. Mid-range: There is no shortage of hotels in Siem Reap. We ended up staying at Le Residence blanc d’Angkor through Secret Escapes at a discount (more about booking accommodation for less). It is located in a quieter area between the town and airport, but that does mean that it’s further from city center. If you prefer to be closer to the city (to save yourself the trouble of finding a tuk-tuk every time you go in and out), try The Rose Apple Boutique or Apsara Residence Hotel, both with an outdoor pool and stylish rooms. Splurge: Golden Temple Villa has spacious rooms that are tasteful and gorgeous. Not fancy enough? La Rivière d’ Angkor Resort and Mane Village Suites both have private villa suites and beautifully decorated in local style. We went to the Old Market and stumbled across Wat Preah Prom Rath – a Buddhist temple with some cute stray cats. We then made our way to King Village in search for a dinner place, eating at Rohatt Café. After dinner, we ventured to the Art Center Night Market before heading back. The tour dropped us off at the Hotel. After a shower and some rest, we headed to the town center for dinner at Ivy’s Guest House. Some of us got a foot massage while the rest headed back to the hotel. We ended around 14:00 and rested in the hotel for a while before heading to Cool Sense Massage. After the massage, we headed out to town for dinner at Grill Wine Café. Given the early start the day before, we all slept in before heading into the Old Market again (we had all forgot we had been before). We had lunch at Blue Pumpkin Restaurant and got a foot massage. Then we went horse riding with Happy Ranch (more information here)and watched the sunset there. We went back to town center for dinner at For Life Restaurant. Afterwards, it was a cocktail class at Asana, before we joined in the festivities of the last night of Song Kra! We headed to the Floating Village and Tonle Sap Lake tour in the morning after breakfast, more information here. After that, we had a brief rest in the hotel before starting our cooking class in the Siem Reap Countryside. We then went to the night market in Siem Reap and did some last minute shopping. None of us ended up having dinner because we were still full from the cooking class. Since our flight was at noon, we relaxed at the hotel and finished packing. Such a cool town with a mix of cambodian and western people and places. It is! I wish I explore more in Cambodia – hopefully next time!